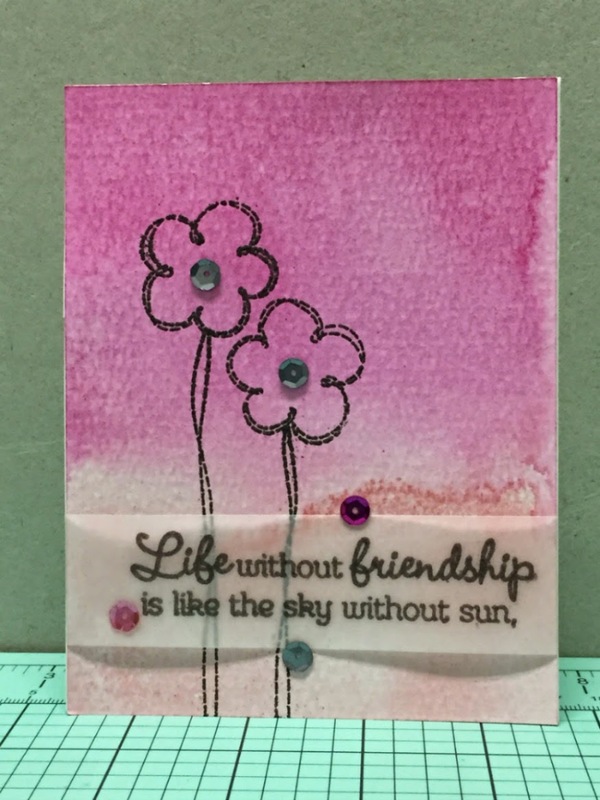 A little post this morning to share my card for the April CCC. I used distress inks to watercolor the background. Stamped the images (Close to my Heart) and then embossed them with charcoal gray powder. The sentiment is stamped on velum and embossed with the same powder. I added a few sequins to finish it off. 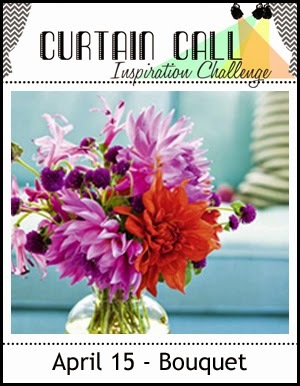 I am also adding the card to the Curtain Call challenge blog. I'm thoroughly enjoying this sweet card, Monica--thank you! Beautiful use of the colors! What a fun design Monica.